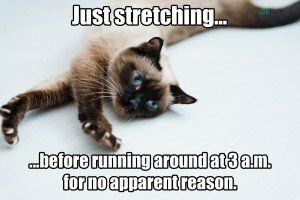 25 more hilarious cat memes, with cats making (sometimes painful) pointed observations about life. 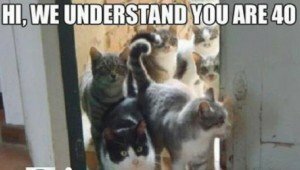 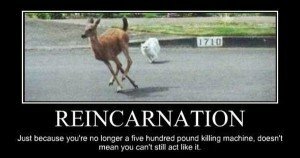 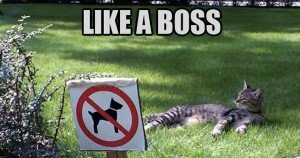 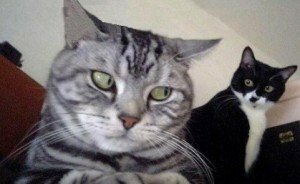 Giving eager-to-please puppies bad advice, scaring the mailman, and tripping a human down the stairs are a few of the activities by cats in more than two dozen memes. 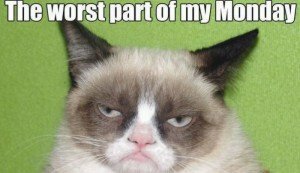 Anxiety over Obamacare, new Ikea furniture, Grumpy Cat's opinion of One Direction are 3 of the 25 funny cat memes in our latest compilation of cat pictures put to words.